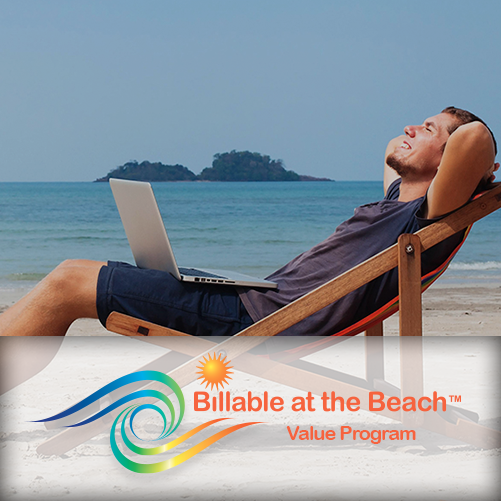 The Billable at the Beach® Value Program includes tips, tools, tricks, workbook and templates plus four hours of one-on-one time customized to your needs. 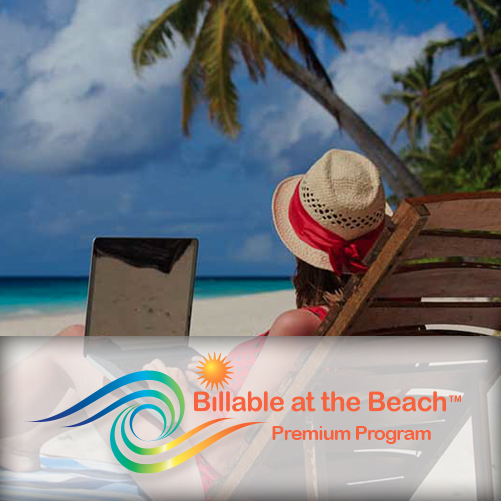 If I can get you billing just two days sooner, the program will have paid for itself. 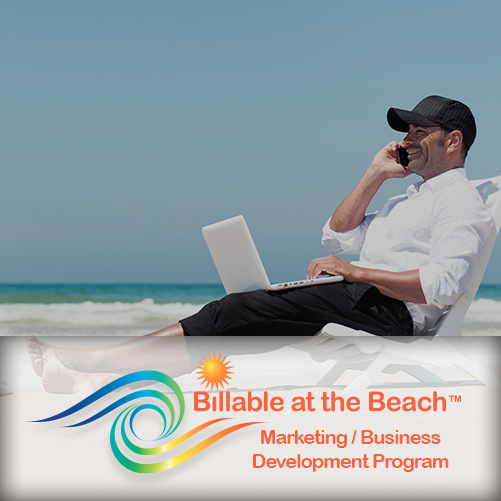 If I can’t do that, I’ll get off the beach.